SimplyGO: A More Convenient Way to Tap In/Tap Out? Home > Things to do in Singapore > SimplyGO: A More Convenient Way to Tap In/Tap Out? Account based ticketing is strong and here to stay with TransitLink’s SimplyGo. If you haven’t heard about SimplyGO yet, here you have it: this is a system that allows you to use your credit or debit card to tap and pay your fare when you take the bus or MRT in Singapore. 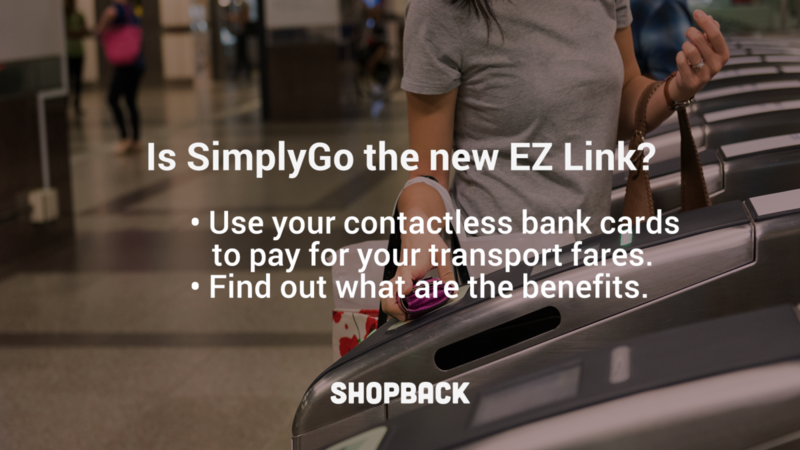 SimplyGo isn’t replacing existing payment methods such as EZ-link cards, but rather, providing commuters with one more choice. This scheme is available since 4 April for all Mastercard. VISA cards should be available by the end of this year. How is this different from what we had before? Besides the convenience, are there any other benefits? How to enrol and sign up to SimplyGO? In short, SimplyGo makes the process easier and faster because you don't need to top up. 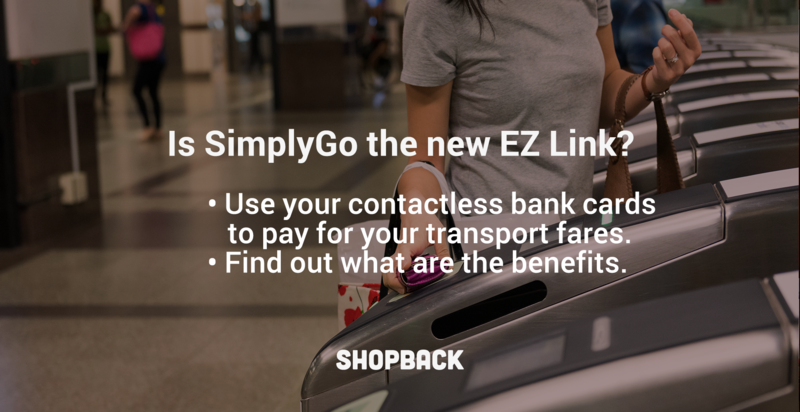 The main difference between SimplyGo and the EZ Link is that, with SimplyGo, you don’t need to top up to keep using public transport. The fares are deducted from your debit/credit card bill. This way you carry one less card in your wallet. This eliminates the need to queue up to buy a ticket or situation where you can’t tap in because of insufficient credit. As long as you have credit or money on the bank account associated with the Mastercard you want to use, you’re always good to go. Carrying one less card in the wallet sounds good but despite the obvious convenience, as consumers, we need a stronger reason to make the switch. So, here are the card promotions available at the moment that might entice you to trade your EZ Link. 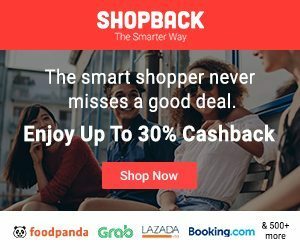 50% cashback on your SimplyGo transactions with Citi Mastercard®. Up to 20% rebate and accelerated rewards when you tap & go with your BOC Credit/Debit Mastercard®. Up to 10% cashback on your bus and train rides charged to your CIMB Mastercard®. Earn cash rebates and DBS Points when you tap & goTM with your DBS Mastercard®. Enjoy the convenience of tap & go with your HSBC Premier Mastercard® on buses & trains now. 20% Cashback on bus and train rides with ICBC Global Travel Mastercard® Credit Card and ICBC Chinese Zodiac Credit Card, from now till 31 June 2019. Win unlimited bus and train rides when you tap & go with your Maybank Mastercard®. Get 10% rebate on bus and train rides with OCBC Mastercard® from now till 31 May 2019. Enjoy cash rebates and priceless experiences when you tap & go with your POSB Mastercard®. Up to $10 worth of free rides on public buses and trains when you tap & go with your Mastercard®. 10 free rides when you tap & go with your UOB Mastercard®. Enjoy a $3 reward when you use your YouTrip Mastercard® on buses and trains from now till 14th May 2019. SimplyGo also doesn’t charge any extra fees for the service. The only downside is that the concessions for senior citizens and students don’t currently apply if you use SimplyGo. LTA didn’t discard the possibility of those being included in the future so we need to patiently wait for updates on this matter. You can start using SimplyGo if you have a Mastercard with a CEPAS logo. These cards are automatically supported. You can also use Apple Pay, Fitbit Pay, Google Pay or Samsung Pay if you have them installed. To use them, select the card you want to use and authenticate it before reaching the gantry. When you reach the gantry, just tap your device onto the card reader as you would do with a card. (If you aren’t sure if your credit/debit card is supported, just head to a General Ticketing Machine at your nearest MRT station, place your card at the machine as you usually do t top up and check if it says its’ “Bank Card Supported”. In case you have an EZ Link Purse activated on your Mastercard, you will need to disable it first by switching the payment mode at one of the GTM’s. If you wish to keep track of your travel expenses and history, you can sign up to the TransitLink SimplyGo Portal and download the TL SimplyGo mobile app. 1. Will I have to register for anything to be part of SimplyGo? No, you don’t necessarily have to register to the SiplyGo platform. As mentioned above, all you need is a compatible Mastercard. 2. Is there a way to track my transactions? Yes, the easiest way to keep track of your expenditures is to download the SimplyGo app and register for an account. This way you will have access to all your travel history and transactions. These transactions might take up to one day to be available on your account. 3. Do I still get a discounted price when travelling by bus and MRT? Yes, you will be charged the exact same fares as those of other cards such as EZ Link or NETS FlashPay cards, with the exception of concessions. Concession fares for senior citizens and students are not applicable to SimplyGo. 4. How do I get charged on my Mastercard? Your card will be charged for all accumulated fares of up to 5 days or when you spend a total of $15, whichever comes earlier. 5. I couldn’t tap out. What do I do? Sign into the SimplyGo Portal and file a claim. 6. Can I tap in with Apple Pay and tap out with the same credit card (not Apple Pay) and vice versa? Or I must use the same device for both instances? Use the same device or mobile payment modes within the same trip. Even if you are paying with the same card, it is advisable to tap in and tap out with the same device/mobile payment mode during the same trip so they don’t get treated as separate transactions and you don’t get the risk of being charged multiple times. Are you keen on SimplyGo? Marta is a content crafter at ShopBack. She reads in her free time and spends her money on travel and frozen yoghurt. She will also exchange travel advice for free coffee. Transport Hacks: How To Save Money On Buses, MRTs, Cabs & More!